Rabbi Pinchas Goldschmidt. Elected new President of the Conference of European Rabbis. London – Rabbi Pinchas Goldschmidt, Chief Rabbi and Av Beit Din of Moscow, is the new president of the Conference of European Rabbis. Rabbi Goldschmidt was elected by the CER’s Standing Committee meeting in London last week and succeeds the former chief rabbi of France (1987-2009), Joseph Hayim Sitruk, who had held the post since 1999. Rabbi Sitruk becomes Chairman of the CER Presidium. Born in Zurich, Switzerland in 1963, Rabbi Goldschmidt studied at the prestigious Ponevezh and Telshe, and Baltimore Yeshivas, receiving semicha from the Chief Rabbi of Jerusalem , Rabbi Yitzchak Kulitz in 1987. He furthered his rabbinical studies at the Shevet Umechokek and Harry Fischel institutes for Rabbinical Judges in Israel. Rabbi Goldschmidt holds qualification from the Chief Rabbinate of Israel as an officially sanctioned candidate for the posts of chief rabbi in any of Israel ’s towns and cities. Rabbi Goldschmidt possesses an MA from Ner Israel Rabbinical College and an MS from Johns Hopkins University in Baltimore, US . In 2009 he was invited as a visiting scholar to Harvard University . He is married with seven children. Rabbi Goldschmidt was called to Moscow shortly before the fall of the Soviet Union in 1989 by a unique coalition which included the Soviet government, the late Rabbi Moshe Soloveitchik of Zurich, the Israeli Chief Rabbinate, the World Jewish Congress and the local Jewish underground movement to restructure Jewish life in the country and build the necessary institutions for a revitalized Jewish community. 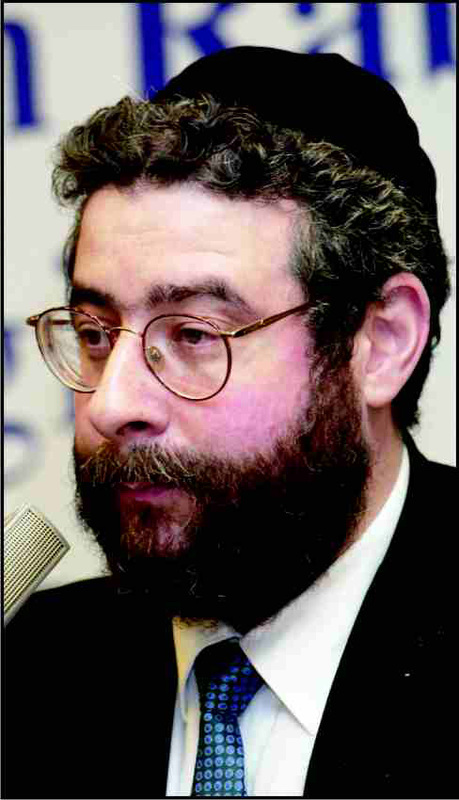 Rabbi Goldschmidt founded the rabbinical court of the Moscow, which created the guidelines in conjunction with the Interior Ministry of Israel to reconfirm Jews who have hidden their Jewish identity during Soviet times. He has since played a major role in founding and developing communal structures from communal umbrella organizations, colleges, day schools and kindergartens to soup kitchens and rabbinical schools. Only the fourth president of the CER in its 54-year history, Rabbi Goldschmidt is the first to hold the post from outside Western Europe . Following his election, Rabbi Goldschmidt pledged to continue the legacy of his three predecessors; the late British chief rabbis, Sir Israel Brodie and Lord Immanuel Jakobovitz of saintly memory, and the Chief Rabbi of France Joseph Sitruk. “Today, in the modern world, we have new challenges to provide spiritual sustenance to our communities. The definition of a community is changing today, and as a result, so is the mission of the rabbinate.